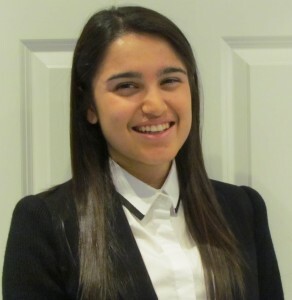 “I chose to participate in the 2015 Toronto Corporate Tour because I really wanted to do my co-op work term in Toronto. Last April, I had just finished my first year at Dalhousie and had not made many connections in Toronto. The Toronto Corporate Tour gave me the opportunity to meet several professionals from different parts of the financial industry who I wouldn’t have otherwise had the chance to meet. The Toronto Corporate Tour is an action-packed three-day networking event divided into three streams: Finance, Marketing, and Career Discovery. I chose to participate in the Finance stream of the tour. We had the opportunity to visit and network with many potential employers, and we had the chance to practice our elevator pitches, do mock interviews, and work on our networking skills. In addition to this, we visited several institutions, such as CIBC, RBC, and Scotiabank. The Toronto Corporate Tour offers you a chance to learn about the different companies, how their application processes work, and about potential co-op opportunities at their company. While on the Toronto Corporate Tour I networked with CIBC and met several contacts with whom I stayed in touch over the summer. In September, when the banks began to post their jobs, I reached out to my contacts and told them I had applied and they helped me get an interview and eventually secure the position with the securities lending team at CIBC. During the time I’ve spent networking, I’ve learned that employers really want to give back to students and help them get into the industry. The Toronto Corporate Tour registration deadline has been extended to Monday, March 7th at NOON. Spots are filling up fast, so sign up now! For more details on the 2016 Toronto Corporate Tour, as well as registration information, visit our website! Build your career in Finance this summer! Are you interested in finance and want to know more about the industry? Here’s your chance to participate in five career enhancing events that will increase your finance knowledge, expand your business network, and give you an inside perspective of top finance companies. Get your finance game on and don’t miss out on these amazing learning opportunities! Aug 27th– Campus Recruiting Wrap up – Be Prepared for Fall recruiting! Join the LinkedIn RBC Campus Recruiting group and submit questions to receive live responses. Students can also pre-submit questions by emailing campusrecruitment@rbc.com. RBC invites female students heading into the 3rd year of their undergraduate degree to The Women Networking Session. Students interested in Investment Banking, Sales & Trading, Debt Origination or Research are encouraged to apply. This session is a great opportunity for students to meet senior professionals and alumni of RBC’s Global Investment Banking and Global Markets Programs. Please submit your resume and a brief cover letter outlining your interest and passion for the industry by Monday July 20th. Note that travel and accommodation will be for your own account. Are you passionate about starting a career in Finance? PepsiCo’s Finance Open House is the chance for you to learn about the New Grad and student opportunities, and showcase your skills to the Finance Team, Senior Executives and CFO of PepsiCo. Brought to you by The Halifax Partnership and Job Junction, this event invites participants to be interviewed by financial services professionals from several companies in a round of 7 minute interviews. This interview style is called Speed Interviewing and it is intended for you to put your best foot forward and give the company a glimpse of your skills and personality. If they are interested in a follow up interview, they will contact you. At the end of the event, there will be a Networking Social that will allow you to further connect with professionals. Email your resume to Isaac Mbaziira at isaacm@halifaxpartnership.com by Wednesday August 5th, 2015. As there are a limited number of spaces, it is advised to apply promptly. Please note that there will be a pre-screening interview before you are accepted to attend this event. hEDGE Finance Conference 2015 focuses on Investment Banking, Sales & Trading, Asset Management, Equity Research, Private Equity, and Venture Capital. The three-day conference will be packed with firm-led workshops at each of the respective sponsors’ offices, keynote speakers, networking events, mock interviews, a competition, and delegate socials. Applications are now open at: https://hedgeconference.ca/apply/ Students are encouraged to send in their application early.